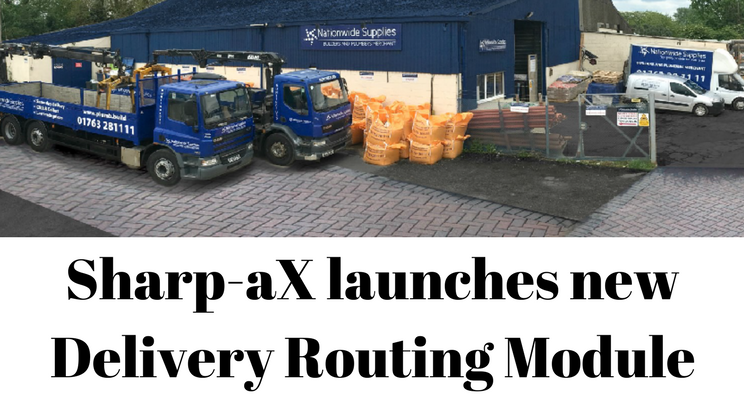 We are delighted to announce a powerful new Delivery Routing Module. Organise your delivery team more effectively, maximise fuel efficiency and minimise time spent on the road. It is powered by Google Maps with live route information. Organise deliveries for the shortest possible route. Unlike many automated routing systems, Sharp-aX allows override of the chosen route to take advantage of local knowledge. Alternatively, you can prioritise specific deliveries and/or manual collections. Routes can be accessed via your drivers’ mobile devices and/or printed out. Know where your drivers are without having to phone them! Live route information is accessible for your customer service team to update your customers. Produce a consolidated picking report to streamline your warehouse process. Ensure individual vehicles are loaded in priority order. Use a mobile device to record items as they loaded onto your vehicles. Essential weight compliance per vehicle. At-a-glance weight check for the deliveries already listed as loaded onto your vehicles. From the same screen, transfer individual orders to different vehicles. Follow the navigation via Google Maps. Record signatures, capture photographs and upload to Sharp-aX for proof of delivery or failed delivery attempts. Update Sharp-aX with actual deliveries made at any time, as well as adjusting quantities for shortfalls / damaged goods. Please contact our support team support@sharp-ax.com or call us on 01442 505950 for further information or to arrange demonstration.